posted by jessica	at 02:00 PM	Filed under Fusion, Recipes. You can follow any responses to this entry through the RSS 2.0 feed. Both comments and pings are currently closed. 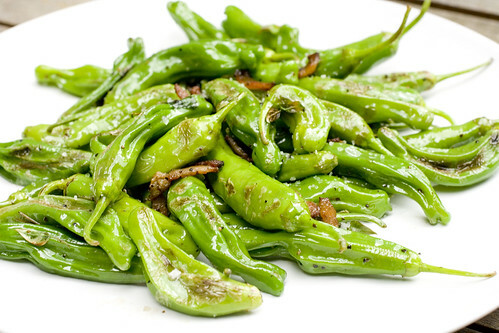 I’ve been on a lookout for shishito peppers – can’t wait to try them. Love your preparation with bacon! Natasha, I buy it in the Farmer’s Market but I’ve seen it at some Japanese markets too. Love ordering shishitos for appetizers. Never had bacon or basil with them though. 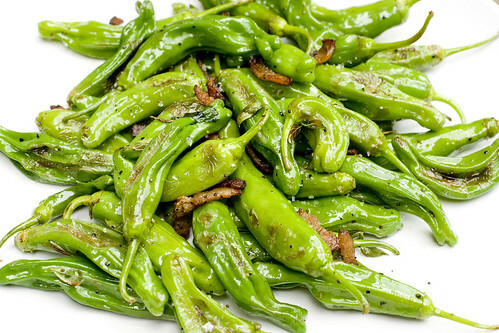 Shishito peppers will play Russian roulette with your taste buds. 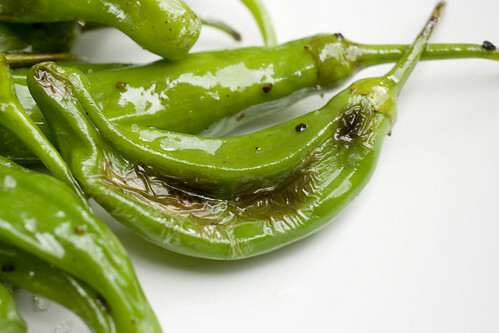 While shishitos are touted as mild sweet-hot peppers … watch out for the hotties. 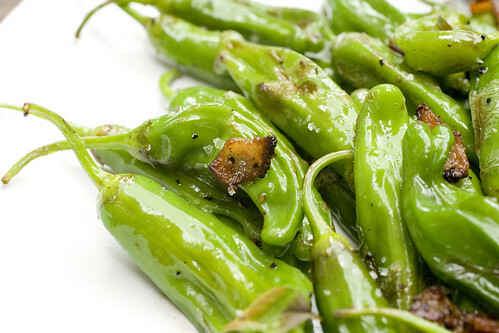 I can’t think of any other capsicum pepper that has more flavor or aroma than shishitos. 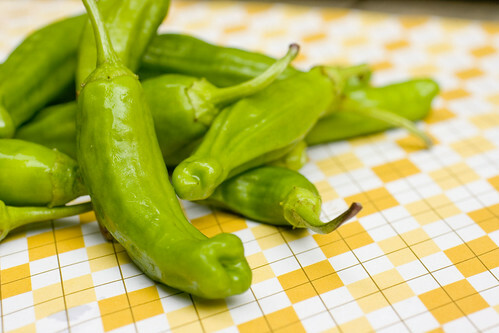 Pan fry these peppers in light oil and eat them right away, gently touched against smoked sea salt or dry shredded smoked fish (very Japanese) … yum, yum! 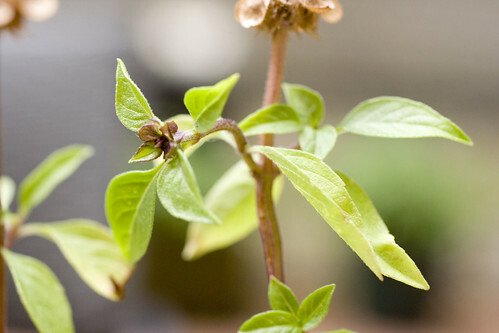 This pepper has a high concentration of vitamin A and C, so they’re good for you. 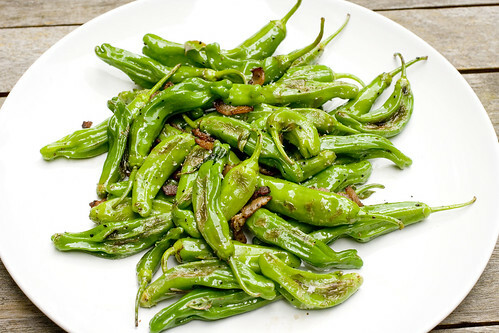 I love Shishito Peppers!!! They are tough to find! This is the second year that I have been growing them in conatiners. I currently have 7 plants, and tons of peppers coming in as I write this. The olive oil, and sea salt recipe is fantastic. I have also put them on hamburgers. 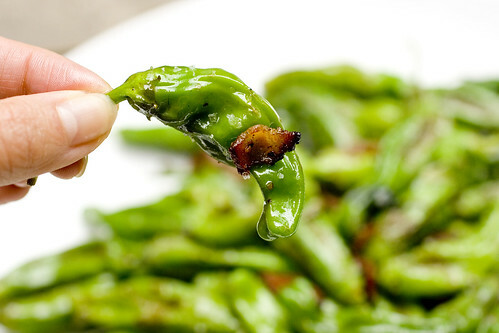 If you have never had Shishito peppers, you have never lived!